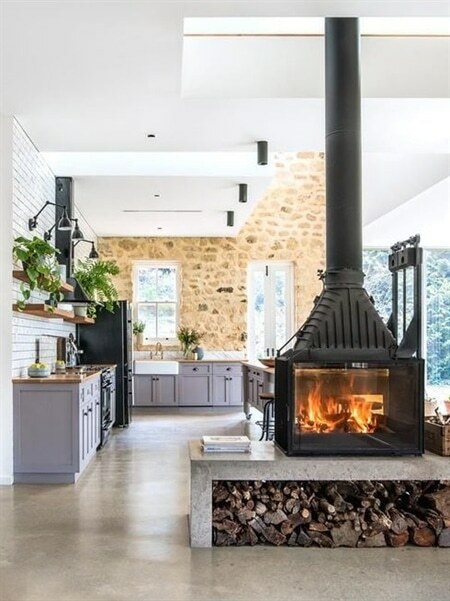 As modern homes get smaller, open-plan designs that maximise available space and create a sense of flow are becoming increasingly popular. 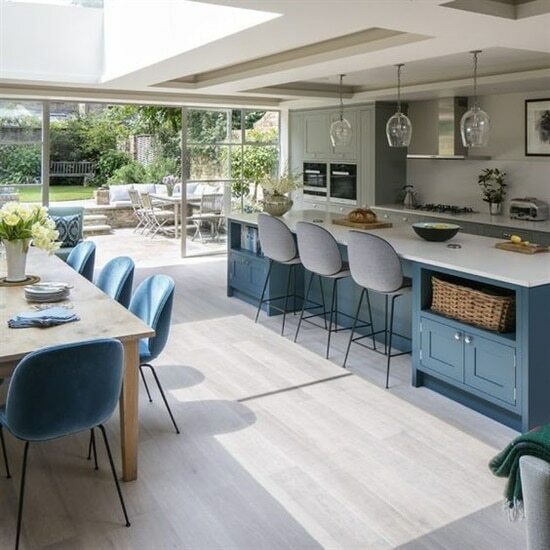 An open-plan kitchen connects with the living room and dining areas, transforming the space into a relaxed and informal living environment. It also allows a family to be engaged in various activities in different zones but still to interact and socialize with each other. Use the same flooring throughout the space works to create unity between the separate areas. 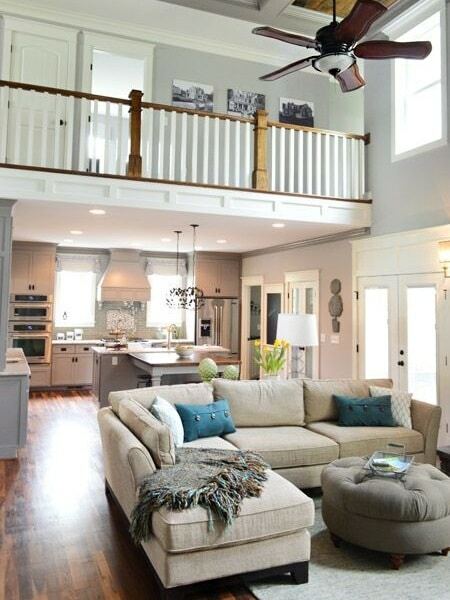 Also use color and accessories to create a cohesive look by incorporating similar elements across all the zones. This means using the same colour palette throughout, as well as similar textures and selecting furniture and accessories across all areas that complement each other. Lighting is a very cost effective way to zone off areas. 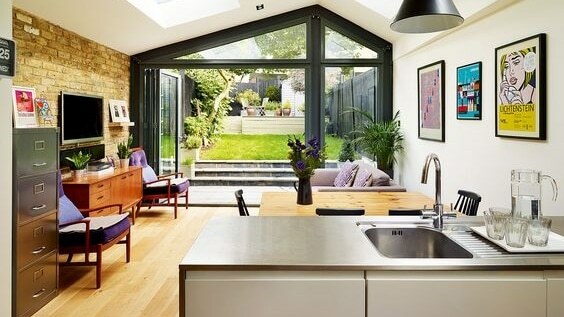 Build a bulkhead with downlights or suspend pendants to light the kitchen and dining area. Place a standing lamp next to a sofa. Layering lights at different heights will visually define the different zones. Storage in the planning and design phase is essential to maintaining a tidy area. Try and keep your everyday items out of sight and stored away in cupboards or counter appliance garages as much as you can. Place all your tall items (fridge, grocery and broom cupboards) together, as this creates a feeling of space and allows for the countertop area to be continuous which contributes to the flow of the rooms. You may wish to consider a separate scullery or to position the sink behind a raised bar area in a kitchen island to hide those dishes. Open-plan kitchens are perfect for casual family living and for socialising with friends and guests. If you’re looking to redesign your space, read more about our kitchen design service and showroom or contact us now. Need an open-plan kitchen revamp?